Many teams will consider their Product Owner a “chicken”, but the Product Owner is a key part of the Scrum team, and Steve explains why – a very important insight for all Scrum teams. Steve also refers to a method of collaboration that is known as #MobProgramming, and how to learn to trust each other in a Scrum team. Steve Holyer serves as advocate, trainer and mentor for companies looking for a better ways of working, using Agile practices in a productive, fulfilling, and fun way. He learned his craft serving as a Scrum Master with multiple teams and organisations, so he knows how to change an organisation from the inside. 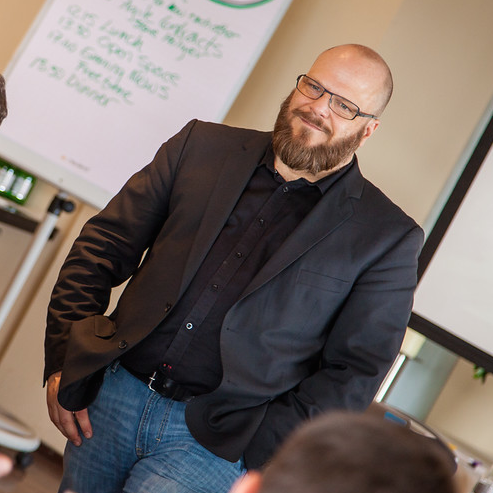 Steve now serves as an indie-label Agile Coach-for-Hire. He’s passion lies with coaching managers and teams to find ways to do software better. You can contact Steve Hoyler on twitter, and find Steve Hoyler on LinkedIn. For more, check his Lift Off workshop.